What’s a girl to pack: My Can’t Travel Without list. I’ve been packing today. As I fly tomorrow, I’ve left it late as usual, although in my defence, I have been planning for it all week. As always, I created a list on my iPhone (using the Shopshop app, a great little easy todo list app) and adding things to it as they come into my head. As a seive-brain, I find this is a minimal-stress way to prepare myself. Otherwise I’m bound to forget something. Now recently I saw this great article on Nomadic Matt’s blog on little niknaks ladies shouldn’t forget to pack. And I added a few things to my list as I went. But now that I’m packed for the trip, which kicks off tomorrow incidentally, I got thinking about the stuff that I can add to that list. The What I Can’t Travel Without list. Ok this is personal, but I’m a diver. I can get to any country, to any dive spot, and no matter which piece of kit I’ve forgotten, there’s the likelihood that I can hire/borrow/buy it there. Contacts, on the other hand, are the once piece of dive kit that, if I leave them at home, I’m stuffed. Knackered, utterly f*cked basically. I can’t see a bloody thing without them, and I sure as he’ll can’t fit a dive mask over my specs. Contacts go in the bag first. Again, a bit specialised, but if, like me, you’re a travelling pharmacologist and your bag sets the airport drugs dogs off into a frenzy, a simple plastic pill box can be a great little helper. Yes, it’s what old people use, but decanting my 4 daily pills into one easy 7-stage container is makes life simpler. Add travel probiotics and malaria tablets into the mix and I’m starting to need an iPhone app to tell me which ones I’ve taken. 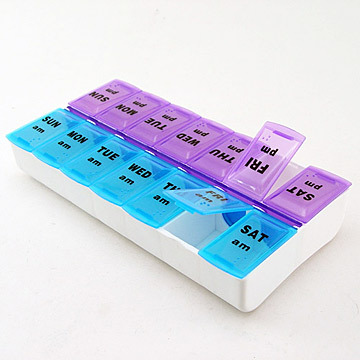 Now if they made two-week pill boxes, I’d get even more excited. Oh hang on, they do. Ooooh. No brainer for a dive gal. It gets messy. Ok, so it’s a bit wanky. But it’s my kindle, my games machine, my magazine, my photo viewer and my dive log all in one. Oh, and my blogging machine of course. My luggage is noticeably lighter from lack of books, dive mags, and other things that I’d usually take to keep me busy. I can add emails of people I meet to my contacts list immediately, and if i could afford roaming charges, I could Facebook-add them i mediately too. And the dive log thing is awesome. I’ll blog about that at some point too. Now technically I could buy any old flip flops when I get where I’m going. But these bad boys are the dogs balls. After about two wears they mould to your feet, never skip off and essentially, you can walk anywhere in them. Ok, probably not through a jungle or anything, but you get what I mean. And I think that’s about it. My Can’t Travel Without list. But I’m sure when I get to Egypt in the morning i’ll probably realise there’s at least one more. Just as long as it’s not my bloody contact lenses.